New in my beauty cabinet: bits of the Mylène PureSkin line. Wait… beauty talk? Yes, beauty talk. 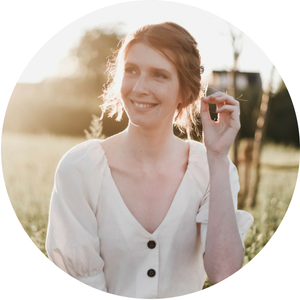 Everyone probably remembers how I exclaimed I’d never become a beauty blogger, but since many of my blogging friends write about make-up, skincare, hair care and nail art I got sucked into the new-to-me world of beauty anyway. With the amount of beauty-related blog events I attended in the last few weeks a breath of fresh blog subjects was in the air. I still will never become a beauty blogger, but sharing a small discovery every now and then could be interesting. 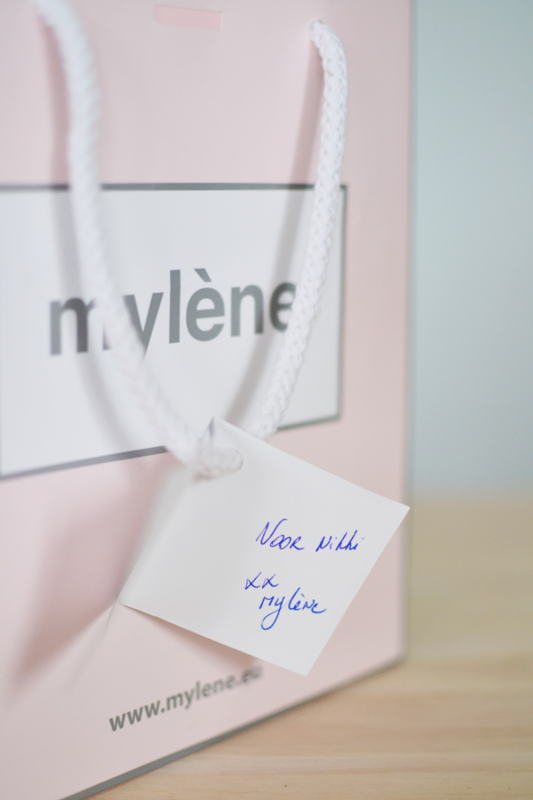 Even I – the biggest beauty rookie – am familiar with the Mylène, their home party concept and their beauty products. During an event a few weeks back I got to meet the Mylène team and was introduced to their newest skincare line PureSkin. After the event I was kindly given a facial set with a scrub and a cream/gel and a stop spots stick so I could try the products at home and see if they delivered. It’s been a few weeks now and I’ve gone through more than one hormonal cycle (tmi, but it simply is my main source of skin problems), so I feel like it’s time to write down my findings. The facial scrub is a mild scrub that clears any impurities in the skin and removes surplus sebum and dead skin cells from the pores. It is enriched with an extract that avoids the skin from dying out while scrubbing. I like using a scrub on days where my skin feels kind of ‘bleh’, if you know what I mean. I love the fresh feeling afterwards and have to admit that I sometimes, maybe, just maybe, also caress my own cheeks after scrubbing. It is my favorite product from the bunch. My skin isn’t red after using, it doesn’t irritate and leaves me feeling fresh and clean. The cream/gel is a hydrating day cream that reduces sebum production, calms the skin and has a mattifying effect. It’s the third step in your beauty routine, after using your cleanser and lotion. I have normal skin that tends to get dry spots every now and then, so I mainly applied the day cream to those areas of my face. Because my skin tends to react well to treatments, I only used the day cream once or twice a week instead of daily and found my skin soft and smooth. I can’t say much about the sebum reduction as I don’t have acne, just the odd pimple or two. The stop spots dries out pimples, stops sebum accumulation in the skin and clears the pores. The idea is that you start applying it as soon as you feel ‘something coming up’. You just dot it on, et voilà! Because the skin around my chin area is rather greasy most of the time, I stayed clear from the area with the hydrating day cream and instead used the stop spots as soon as I felt tightness in my skin or noticed redness. To say that it actually cleared away the pimples like some kind of magic is a little fulsome, but you can really feel how it dries out the spot and how it reliefs the area a bit. One concern I have is how hygienic the stop spots is. It works like a dotting tool, which means you constantly press it onto (small, but still) infected areas of your face. You can’t really clean it and you can switch the cushioned head of the stick. I’ve know Mylène for years and have attended more than a dozen home parties, from when I was young until more recently. From nail varnishes to bath soaps, we had everything in our house! What I somehow always missed was that they also have a home and interior range?! I’m pretty curious to learn more about that. In the meantime, have a great day and I hope you enjoyed this post! I’ve never heard of the brand before! I don’t think we have it here in Australia. Great that it’s working for you, it sounds like a lovely range. Moh, ik wist niet dat zij nog bestonden. Oeps!